Vining herbaceous perennial. Native to the Eastern American hardwood forests. Dioscorea quaternata is very similar to the (smaller) Dioscorea villosa and traditionally in the herb world the root of both of these American Yams has been used interchangeably and called “American Wild Yam (Dioscorea villosa). Stunning display of heart shaped leaves like the scales of a dragon. One of the prettiest vines in all of horticulture. 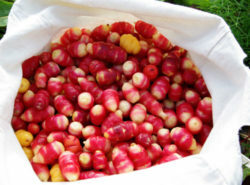 Dried Wild Yam root is antispasmodic to smooth muscle of uterus and GI tract. Space 1 foot or more apart. Trellis, or allow to ramble. 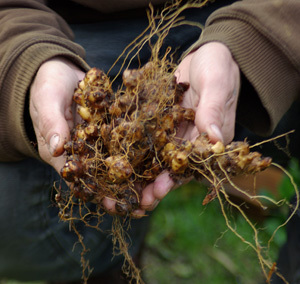 Planting Wild Yam Roots: Best to plant dormant live roots in the fall for emergence in the spring. 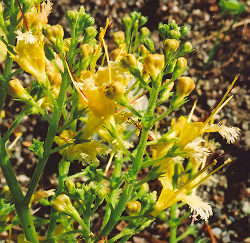 May be planted in woodlands, shade garden or in pots. 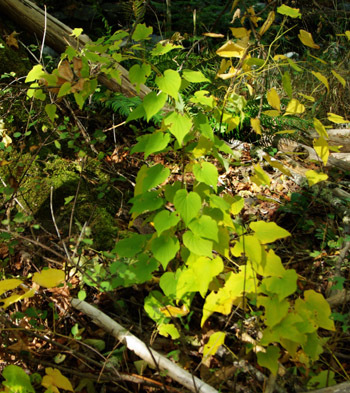 Wild Yam likes a little shade, but it does withstand more sunlight than goldenseal, bloodroot and blue cohosh. These are vines and will eventually do best trellised or climbing up bushes, trees or other plants. Sometimes they live for some years without going into the vining stage–they look like upright plants, presenting leaves in handsome whorls. This plant will grow as a standard shade garden plant and does not really need to be in a woodland setting, although it will grow fine in the woods, too. In the woodlands, it may often be found as a self-supportive vine in the deep woods, but near the edge of the woods, where it gets more light, it may climb high into the overstory. 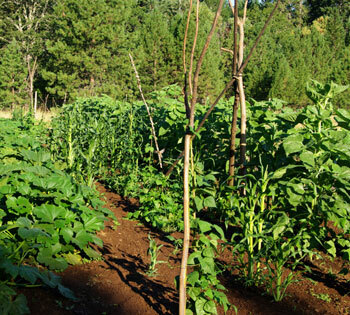 In any case, Wild Yam loves part shade, deep, humusy soils and plenty of organic compost. 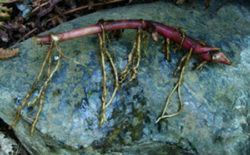 To plant, dig a shallow trench and lay the rhizome horizontally. 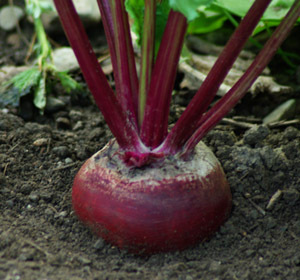 Push rootlets down into the soil. 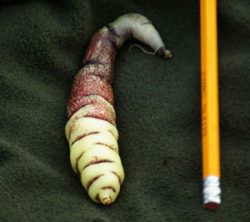 The nascent bud is yellow-whitish, usually found at the end of the rhizome, and does not need to be pointing up, it usually points horizontally. 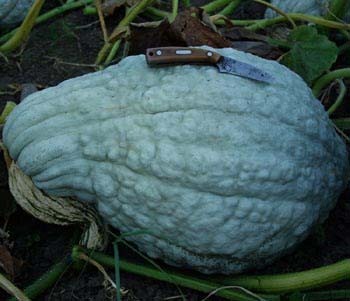 Bury about 2 inches below soil surface, tamp in, and cover with 2 inches or more of mulch. Regular forest mulch, rotted leaves, or coir work well. Commercial bark mulch is not a good choice. Plant roots between 1 feet and 4 feet apart. 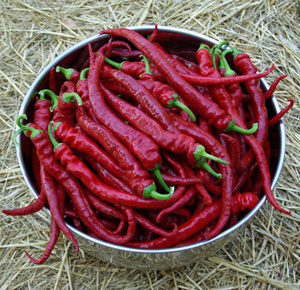 Water once after planting, after which winter rain and snowfall will keep them sufficiently watered. 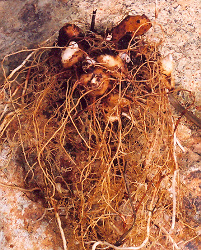 The roots will overwinter under the mulch and the plant will emerge in the spring. If during the spring and summer the planting becomes very dry (ie no rain for 2 weeks) then it is a good idea to water them. That is all the care that is usually required. If potting up, use standard potting soil, one root per pot, 1 gallon pot or bigger. Mulch on top of the pot and place in shade garden, patio, greenhouse, etc. Organically Grown at Strictly Medicinal.